CoinGecko announced on Tuesday the release of its Yearly report for 2018. The document took a dive into the major events that shook the crypto sphere to its core throughout the last year and gave insights on the evolution of crypto assets prices, exchange trading volumes, the ICO landscape and the rise of Security Token Offerings among other highly discussed subjects in 2018. 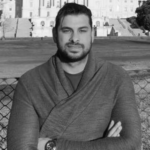 CoinGecko published on January 15th its 2018 yearly crypto report. The 83 pages document provided valuable insights covering the downtrend that spanned around the last year, and its implications on the market. It featured 13 chapters and one Appendix section, summarizing all things crypto in 2018, from market dynamics and crypto exchanges to hacks and crypto theft that took place during the year. The remaining chapters focused on the rise of stable coins, the Bitcoin Cash split, along with analysis and commentary on relevant data gleaned about projects that have successfully launched ICOs in 2018, and the way that data had changed compared to the previous year. The report crunched the numbers on last years sharp price decline seen in most crypto assets and estimated -78.85% to be the total cryptocurrency market capitalization drop in 2018. This was based on the top 30 cryptocurrencies by market cap. The document, however, stated that despite the downturn, trading volumes remained consistent throughout 2018. This has been explained by the increase in the number of exchanges and exchanges conducting trans-fee mining. A special emphasis was given to the serious decline in total market cap recorded towards the end of November before the slight recovery around mid-December. In fact, the total loss in value in Q4 alone was assessed at 44.25% according to the document. Nevertheless, Q4 allegedly saw a slight increase in trading volumes. CoinGecko gave a rundown on the 2018 returns of the Top 5 cryptocurrencies, which all recorded negative yields. According to the numbers put forth by the research, Bitcoin Cash was proven to be the top losing coin with 93% loss of its market valuation. On the other hand, the price of Bitcoin declined by 73%, Ether by 82%, Ripple’s XRP by 84% and EOS (the most volatile coin among the top 5 crypto assets) declined by 66%. Furthermore, Bitcoin dominance increased from 40% at the beginning of 2018 to 55% by December 31st. Interestingly, the controversial stable coin Tether ended the year as the 7th largest crypto asset. In fact, the document reported a significant increase in stable coins making it to the list of top 100 coins. 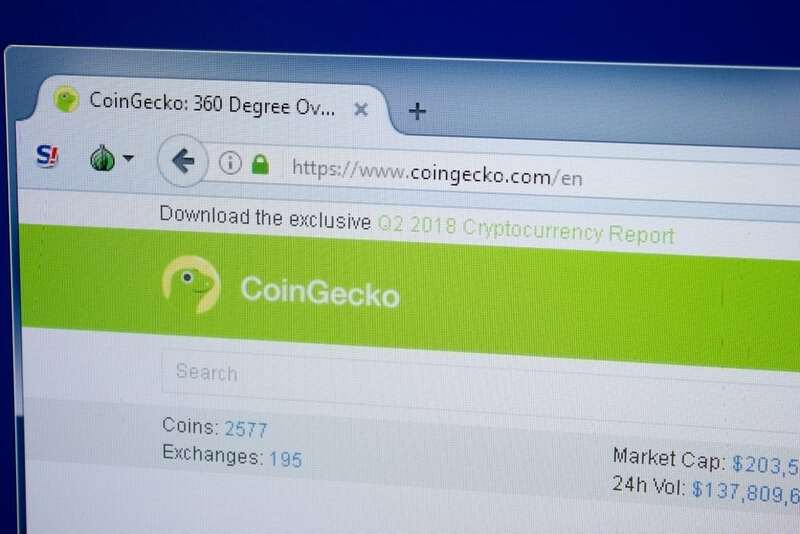 Under the Crypto Exchanges Chapter, and based on the reported volumes from the exchanges themselves, CoinGecko gave a list of the top 30 exchanges by median trading volumes. Bithumb, ZB.com, and Binance topped the list while Purcow exchange was ranked as 30th. A closer look into the trading volumes recorded revealed that the rise and fall of trans-fee mining exchanges benefited the market around Q3 of 2018 when such exchanges were first introduced and subsequently surged in popularity making up 60% of the total trading volumes through up to Q4. The report gave an overview of the major events that had far-reaching consequences on the market in 2018 and published a full list of those events and related news articles in the Appendix section. The incidents were split among Global News and Regulatory Headlines, where CoinGecko produced a thorough report on most of what happened in the market during the last year. Researching the ICO Landscape, CoinGecko reported a whopping 67.91% decrease in the “Average Token Return” among the 943 projects that successfully completed their ICO fundraising. In fact, a total of 1941 projects attempted to launch an ICO in 2018 as compared to 913 in 2017, with a slightly better success rate of 48.58% in 2018 (47.65% in 2017). The total amount raised by those projects was calculated at 16.5 billion, 3 times more than the previous year (5.6 billion in 2017). The report claims that reaching the hard cap has proved particularly challenging for most ICO projects in 2018. In fact, the percentage of projects that completed their offering and reached their hard cap dropped from over 53.32% at the start of the year to 10.42% in December 2018. The document explained the reasons behind that as stemming from a deteriorating investment sentiment, the increase in government regulations targeting ICO offerings, and the sharp fall in Bitcoin and Ether prices. The document defined a stable coin as a digital asset aiming to offer price stability to the market by means of mirroring the value of fiat currencies or other physical assets/commodities. In fact, by mitigating cryptocurrencies volatility, stable coins could represent an excellent means of value exchange. CoinGecko reported that the top 5 stable coins by market cap are all pegged to the US dollar value. Besides, 2018 was the year that saw the launch of four new regulated stable coins, which all enjoyed steady growth and were able to capture market shares from Tether. A section of the report was dedicated to the events that preceded the Bitcoin Cash split into Bitcoin Cash ABC and Bitcoin SV (Bitcoin Satoshi Vision), and that has drawn the market into weeks of sharp price declines and ramping polemics. Technical differences between Bitcoin Cash ABC and Bitcoin SV were detailed in the appendix section, and prices, trading volumes and Network hash rates were compared. The next chapters provided important insights into the number of developed Dapps by platform (Ethereum, EOS, TRON, and Steem) in 2018, market dominance by Dapp category and the key events that took place in 2018 and impacted the four major dapp and smart contract platforms. Ethereum has been listed as the leading platform with the highest reported numbers of Active Dapps (1045) and mainet wallets (over 51 million unique wallets). The remaining sections of the document focused on the rise of security tokens and the benefits it could bring to the market, as well as the regulations that are likely to be applied to this new form of startup fundraising in order to protect both projects and users. The significant growth of masternodes and masternode coins despite a severe drop in overall value has also been discussed in the report. In fact, the total market cap for masternode coins was found to have dropped from over $12.5 billion in January 1st to $530 million by December 31st. The last chapter discussed the Non-Fungible Tokens ecosystem and the recorded growth in the number of active addresses and emerging communities.